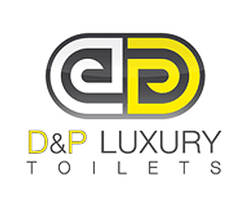 D&P Luxury Toilets are based in Buckinghamshire allowing a competitive service to the Home Counties and London. We specialise in providing luxury mobile toilets for parties, weddings, exhibitions, balls, concerts and sporting events. From self-contained trailers and freshwater flush VIP trailers, to modular contemporary units which are fitted in marquees and buildings; our expertise lies in planning requirements for specific events and providing attendants and back up during the event if required. We provide a range of luxury mobile toilets and offer some of the most competitive pricing on the market. With fresh water flush systems, designer/bespoke units and the most environmentally friendly luxury mobile toilets available, we pride ourselves in offering the best possible service. Please feel free to contact our team to discuss your event requirements.